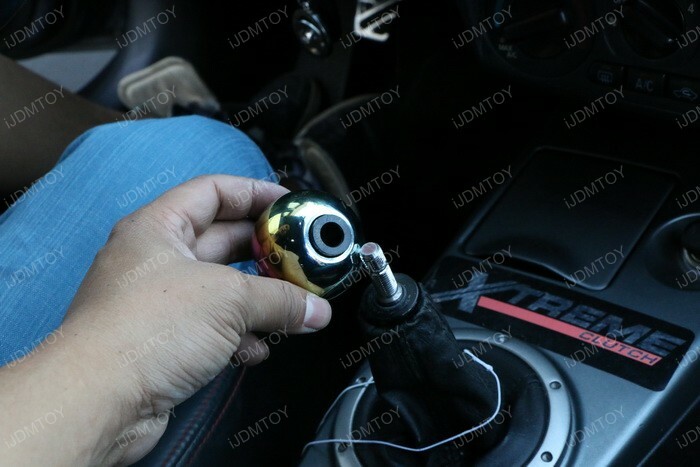 Step 1: Remove your stock or old shift knob. 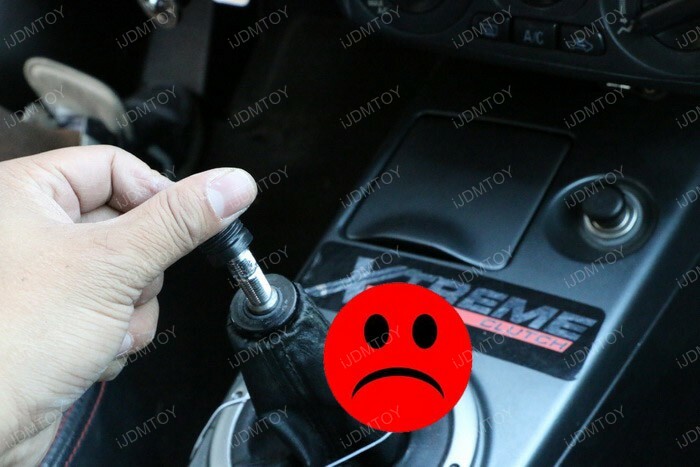 Step 2: Now you are going to compare the plastic adapters come with the universal fit shift knob package to try the fitting. 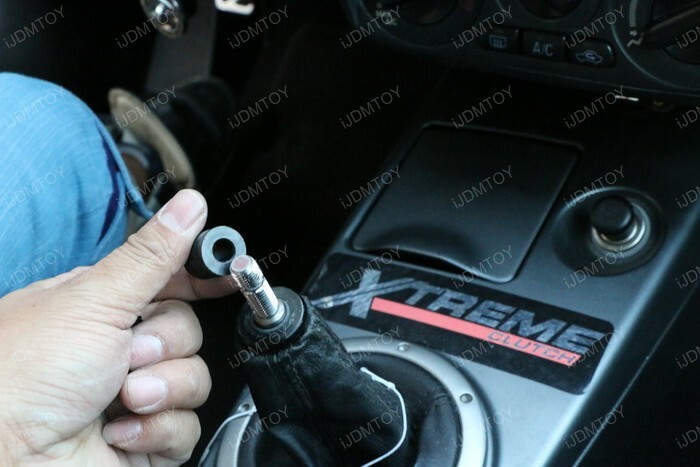 Step 2.1: The first adapter we tried is way too big. 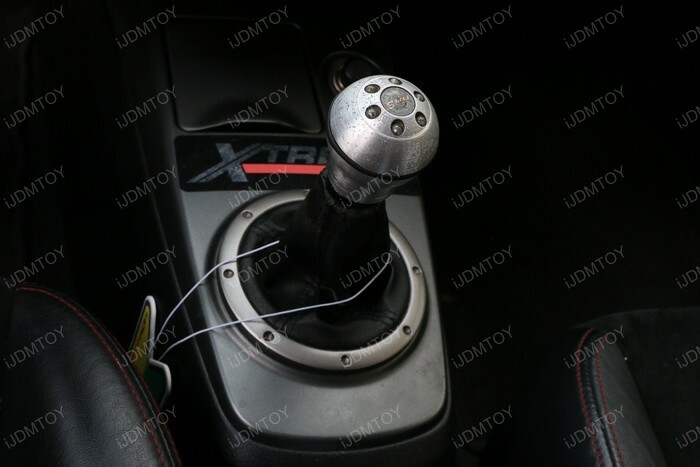 As you can see in the pictures below, the adapter is way too big to fit onto the shift stick. 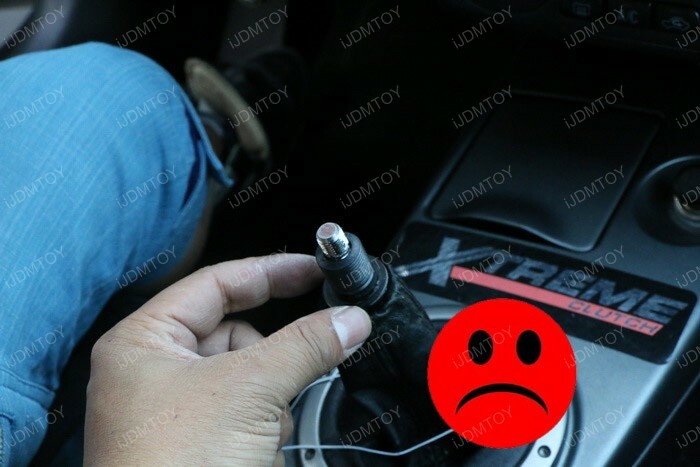 Step 2.2: The second adapter we tried is way too small. 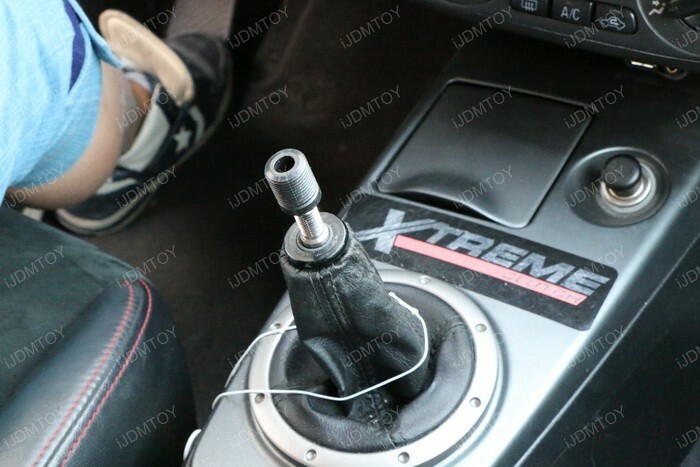 As you can see in the picture below, the adapter is way too small to fit onto the shift stick. 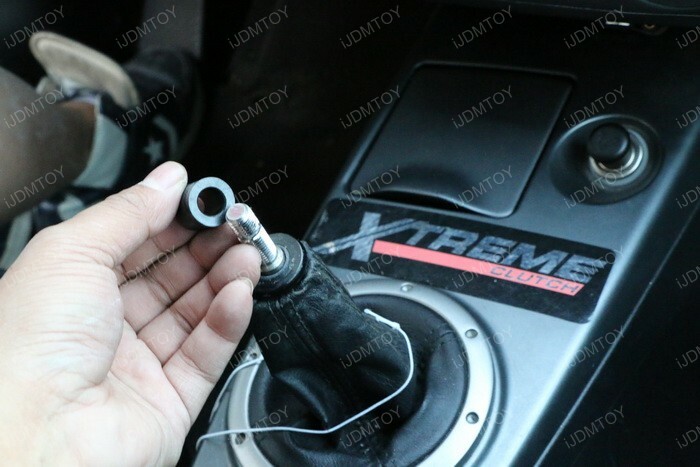 Step 2.3: The third adapter, as you can see from the pictures below, the opening size is about the same as the stick and it will “barely” fit and require you to continue twist this in order to fit the shift stick. 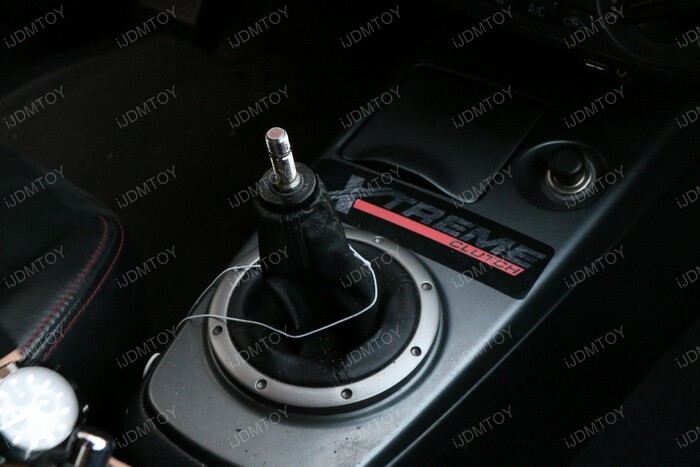 Step 3: So after we determined which the correct adapter is, we will install this adapter into the universal fit shift knob unit and then twist it back to the stock shift stick. 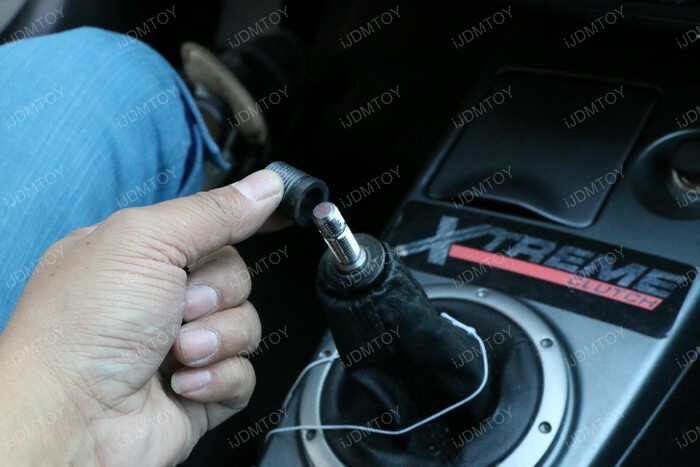 For this step, please be patient and apply some force since you need to twist the plastic adapter onto the stock stick while this action will make the thread inside the plastic adapter. 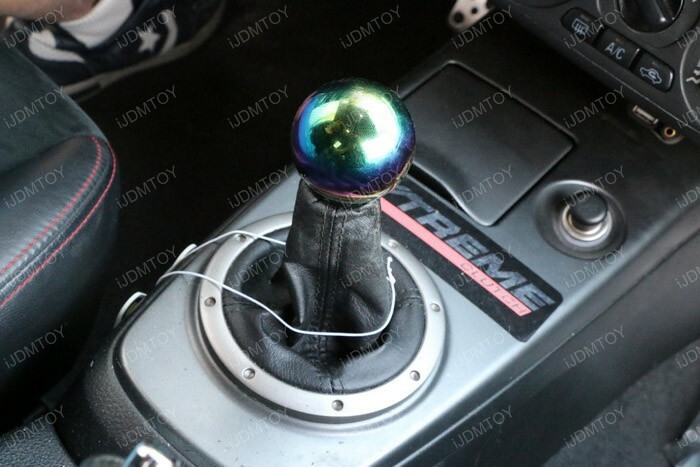 You are about to twist the shift knob down about 1.5" so takes about 3-5 mins for the twisting once it reaches the desire position you want.